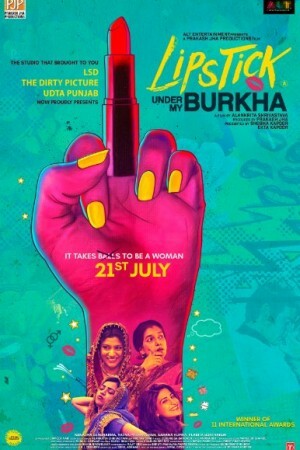 Lipstick under my burkha is an upcoming Indian feminist drama film about four different Indian women who hail from separate backgrounds, the movie follows their journey and efforts to live an independent life secretly to avoid the pressure of opinions from judgmental people. The story of different characters are well depicted where one is a young Muslim girl who can’t step out of her house without wearing a burkha aspires to become a pop singer, the other being the story of a burdened married women with three children who works secretly as a saleswoman. The third one is about a 55-year-old woman who enjoys phone romance and the last one is about a beautician from a small town.